Levallois, or more precisely the Levallois prepared-core technique, is the name archaeologists have given to a distinctive style of flint knapping, which makes up part of the Middle Paleolithic Acheulean and Mousterian artifact assemblages. 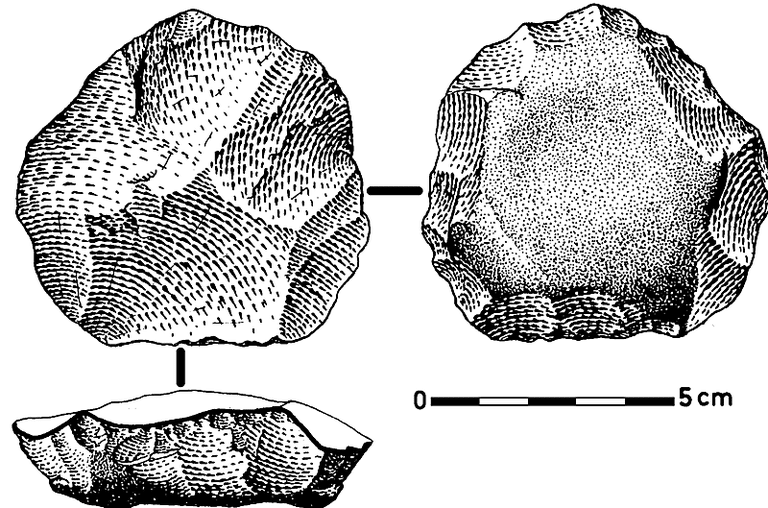 In his 1969 Paleolithic stone tool taxonomy (still widely used today), Grahame Clark defined Levallois as "Mode 3", flake tools struck from prepared cores. Levallois technology is thought to have been an outgrowth of the Acheulean handaxe. 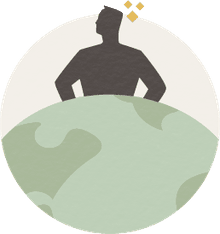 The technique was reckoned a leap forward in stone technology and behavioral modernity: the production method is in stages and requires forethought and planning. The stone tool-making Levallois technique involves preparing a raw block of stone by striking pieces off the edges until it is shaped something like a turtle shell: flat on the bottom and humped on the top. That shape permits the knapper to control the results of using applied force: by striking the top edges of the prepared core, the knapper can pop off a series of similarly sized flattish, sharp stone flakes which can then be used as tools. The presence of the Levallois technique is commonly used to define the beginning of the Middle Paleolithic. The Levallois technique was traditionally thought to have been invented by archaic humans in Africa beginning about 300,000 years ago, and then moved into Europe and perfected during the Mousterian of 100,000 years ago. However, there are numerous sites in Europe and Asia which contain Levallois or proto-Levallois artifacts dated between Marine Isotope Stage (MIS) 8 and 9 (~330,000-300,000 years bp), and a handful as early as MIS 11 or 12 (~400,000-430,000 bp): although most are controversial or not well-dated. The site of Nor Geghi in Armenia was the first firmly dated site found to contain a Levallois assemblage in MIS9e: Adler and colleagues argue that the presence of Levallois in Armenia and other places in conjunction with Acheulean biface technology suggest that the transition to Levallois technology occurred independently several times before becoming widespread. Levallois, they argue, was part of a logical progression from a lithic biface technology, rather than a replacement by movement of archaic humans out of Africa. Scholars today believe that the long, long range of time in which the technique is recognized in lithic assemblages masks a high degree of variability, including differences in surface preparation, orientation of flake removal, and adjustments for raw source material. A range of tools made on Levallois flakes are also recognized, including the Levallois point. Archaeologists believe the purpose was to produce a "single preferential Levallois flake", a nearly circular flake mimicking the original contours of the core. Eren, Bradley, and Sampson (2011) conducted some experimental archaeology, attempting to achieve that implied goal. They discovered that to create a perfect Levallois flake requires a level of skill that can only be identified under very specific circumstances: single knapper, all pieces of the production process present and refitted. Sisk and Shea (2009) suggest that Levallois points — stone projectile points formed on Levallois flakes — might have been used as arrowheads. After fifty years or so, Clark's stone tool taxonomy has lost some of its usefulness: so much has been learned that the five-mode stage of technology is far too simple. Shea (2013) proposes a new taxonomy for stone tools with nine modes, based on variations and innovations not known when Clark published his seminal paper. In his intriguing paper, Shea defines Levallois as Mode F, "bifacial hierarchical cores", which more specifically embraces the technological variations. Wynn T, and Coolidge FL. 2004. The expert Neandertal mind. Journal of Human Evolution 46:467-487.
Who Doesn't Love a Sharp, Black, Shiny Ancient Stone Tool?